One of our favourite local producers is Polgoon Cider Orchard & Vineyard, award-winning makers of wine, cider and fruit juices. Polgoon is owned and operated by Kim and John Coulson. The couple previously ran a business in Newlyn, but in 2002 they bought a derelict farmhouse on the edge of Penzance and set about restoring it and the surrounding land. 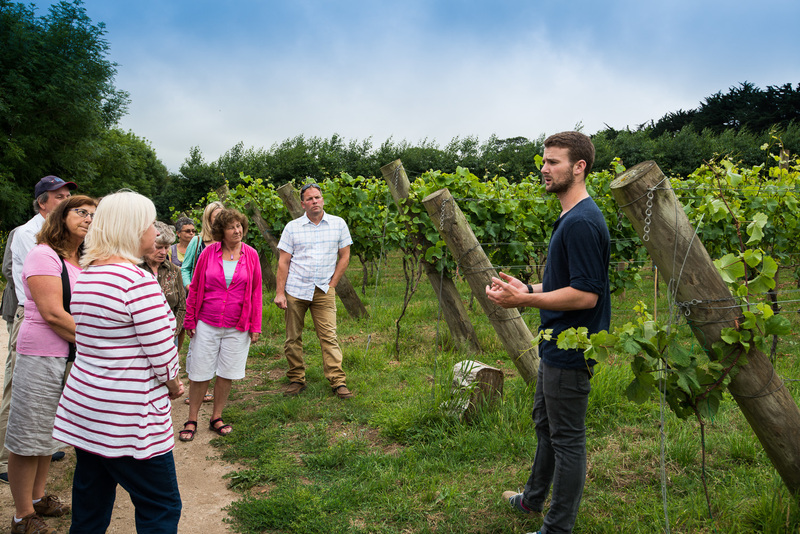 Now Polgoon occupies a series of sun-drenched slopes, home to lovingly-tended vines and apples trees as well as a tasting room and a store featuring other local produce. There are not many sites suitable for vines in this country. Luckily for Kim and John, their gentle south-south-east facing hillsides and well-draining soil is ideal. They had to choose grape varieties that grow well in the English climate, including Bacchus, Orion, Rondo and Pinot Noir, which is used in Champagne. 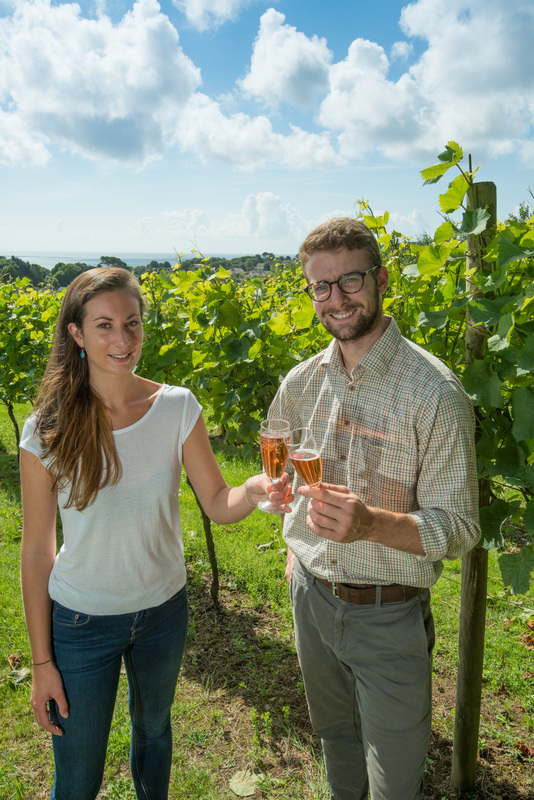 As well as nurturing these vines into maturity, Kim and John also produce delicious apple juices and sparkling cider. The latter is made by allowing the cider to undergo a secondary fermentation in the bottle. The bottles need to be turned gradually, allowing the sediment to make its way to the neck. The sediment is then quickly ‘disgorged’ and the liquid is topped up and re-corked. “We have over 400 apple trees,” said John, but the varieties that go into Polgoon Aval (Aval meaning ‘apple’ in Cornish) are a well-kept secret. At Porthminster we serve Sparkling Aval Raspberry – refreshing pink bubbles made by combining apples with a hint of raspberry. Polgoon also produce a Perry and a Sparkling Elderflower, as well as juices. You can visit the store at Polgoon or take a tour between March and October. Click here to find out more.